www.BuilderElements.com: Your dream kitchen is within reach! With BuilderElements.com, planning your kitchen remodeling project is simple and enjoyable. Our kitchens all got a style, but sometimes they need help to figure out what type of design best fits their “personality”. BuilderElements.com offers kitchen cabinets with a variety of styles and high quality and beauty that you will enjoy for years, Cream maple glaze, Mahogany maple,Cinnamon maple glaze and more. BuilderElements.com offers free 3D kitchen design, allowing you to view your new kitchen before taking the finial step and avoiding mistakes in your kitchen cabinet selection processes. 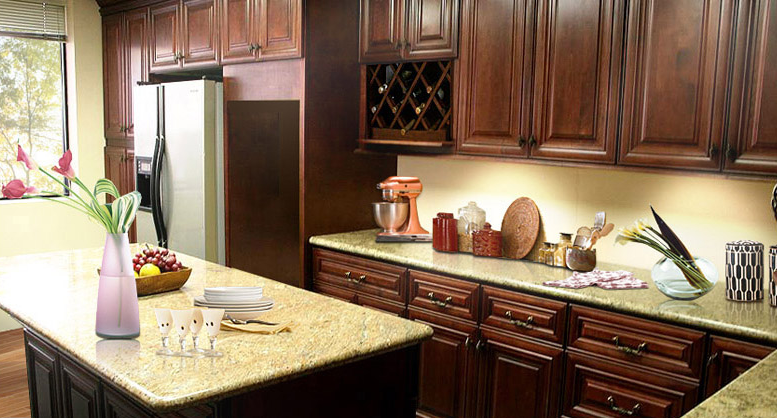 It can let you best finalize your design decisions for the layout of your new kitchen. How to Install Kitchen Cabinets? Whether you hire a professional cabinet installer or do the job by yourself, preparation is the most important key to success. If you plan to hire a cabinet installer, start asking your friends, relatives or colleagues for referrals early in your designing stage. Maintaining the beauty of your kitchen cabinets can create a space providing joy to you for long. Kitchen cabinets often get stained with grease and other food residues. 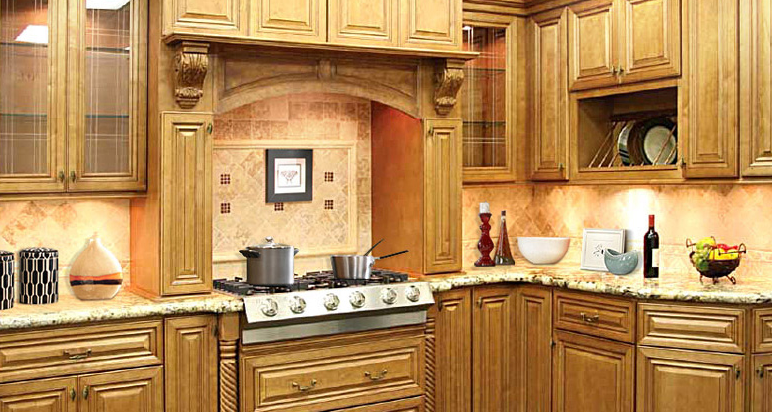 Regular clean and maintain of your kitchen cabinets is essential to keep them stunning and more durable. Vinegar is one of the best cleaning materials to clean cabinets. It's slightly acidic to help with the grime, but with no harsh chemicals to damage your kitchen cabinets. It is very easy to clean kitchen cabinet with vinegar. Regular clean with vinegar can leave your cabinets looking fresh in a matter of moments. 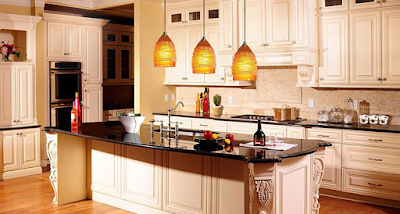 You will be surprised at how kitchen cabinets can transform any room in your kitchen. And you will find that BuilderElements.com kitchen cabinets are flexible enough to offer the perfect solution to your kitchen.